Employers cannot simply dismiss an employee for being incapacitated; each case requires consideration of all requirements, says Nicol Myburgh, head of HR business unit at CRS Technologies. South Africa's Labour Relations Act (LRA) sets out clear guidelines that employers must follow when it comes to dealing fairly with cases of employee dismissal for incapacity. Employers cannot simply dismiss an employee for being incapacitated, and each case requires careful consideration of all requirements. This is according to Nicol Myburgh, Head of HR business unit at leading HR and HCM solutions provider CRS Technologies. Myburgh says Schedule 8 of the LRA offers guidelines for employers in cases of dismissal for poor work performance and in cases of dismissal arising from ill health or injury. The capacity of an employee is identified as one of three reasonable/fair grounds for dismissal, the others being misconduct and section 189, more commonly known as retrenchments. Incapacity could be for two different reasons: poor work performance or ill health/injury. All cases involving incapacity for either reason must be thoroughly investigated and meticulously managed by employers, because there are specific requirements for an employer to fulfil in cases of dismissal for incapacity. "With regards to poor performance, the LRA makes a clear distinction between the requirements for employees before and after the completion of a probationary period. Any person making a decision about the fairness of a dismissal of an employee for poor work performance during or on expiry of the probationary period ought to accept a reason for dismissal that may be less compelling than would be the case in dismissals effected after the completion of the probationary period. "After probation, an employee should not be dismissed for unsatisfactory performance unless the employer has given the employee appropriate evaluation, instruction, training, guidance or counselling and, after a reasonable period of time for improvement, the employee continues to perform unsatisfactorily," says Myburgh. 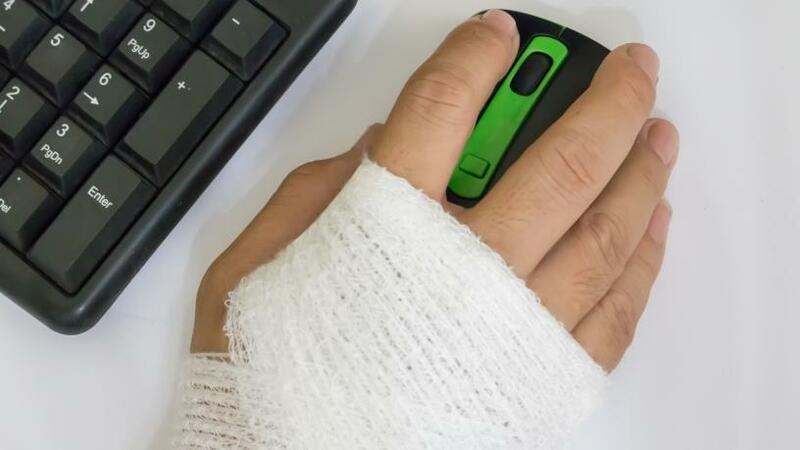 CRS Technologies explains when it comes to cases involving ill health/injury, these could be either temporary or permanent and there are specific implications in either scenario. "If an employee is temporarily unable to work in these circumstances, the employer should investigate the extent of the incapacity or the injury. If the employee is likely to be absent for a time that is unreasonably long in the circumstances, the employer should investigate all the possible alternatives short of dismissal. When alternatives are considered, relevant factors might include the nature of the job, the period of absence, the seriousness of the illness or injury and the possibility of securing a temporary replacement for the ill or injured employee," Myburgh continues. In cases of permanent incapacity, the employer should ascertain the possibility of securing alternative employment, or adapting the duties or work circumstances of the employee to accommodate the employee's disability he adds. CRS Technologies emphasises that because someone is incapacitated for either of the reasons mentioned above, the employer should not just dismiss the employee, rather, gain an understanding of all the requirements and seek assistance if required. "The risks are great should they make a mistake," says Myburgh. CRS HR & Payroll Solutions is a provider of services and solutions to the human resources and payroll markets in Africa in general, and South Africa in particular. Its product portfolio encompasses everything the decision-maker in business requires to support the roll-out of an effective HR and payroll strategy. The company's foremost reputation as a reliable service provider and trader in rapidly expanding market segments, and to blue-chip companies, is underpinned by its affiliation and partnership with a number of respected, industry-regulatory bodies. Its expertise and business acumen within these mission-critical aspects of business management have ensured it remains an ultra-competitive, secure and unrivalled market performer.